Sezincote is a theatrical and magical summer venue from mid-May to mid-September and hosts six weddings a year. The only authentically Mughal Palace in northern Europe, the house was built in the Indian style in 1805 and was the inspiration for the Brighton Pavilion. 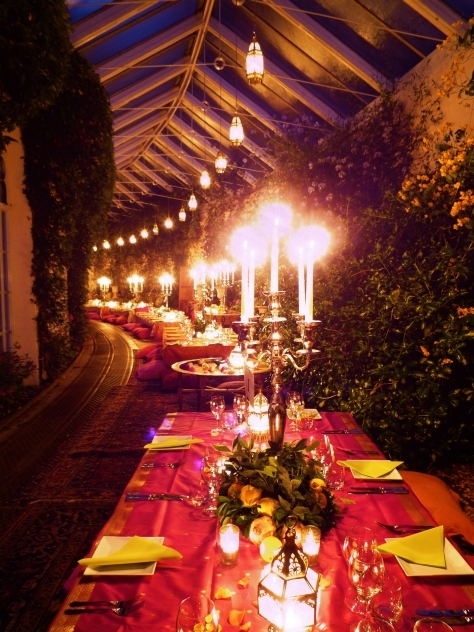 Perfect for a wedding celebration, as you approach this exotic house it takes your breath away. 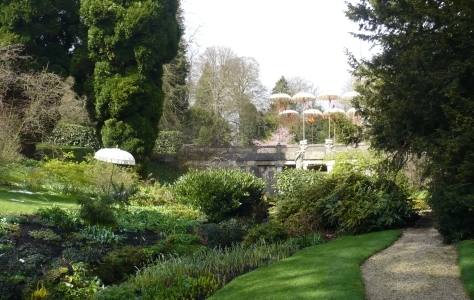 It is a uniquely romantic hidden jewel with its onion dome, minarets and curved Orangery enclosing a Persian Garden of Paradise set amongst the green Cotswold hills. 240-capacity in the spectacular, glass curved Orangery. The series of french windows can be opened to enhance the feeling of being part of the garden. 70-capacity in the dining room with hand painted walls decorated with delicate views of India and looking out onto the Persian Garden. Two palatial bridal suites are available to prepare in from 9am. Receptions are held on the lawns in the Persian Garden then a marquee with clear sides and the house illuminated is a spectacular setting for a dinner and party with a cut off at 1230am. The water gardens surrounding the house with their temple, pools and stepping stones under the Indian bridge provide a series of wonderful settings for wedding photographs. Sezincote has preferred marquee and lighting suppliers who can assist in preparing a quote and we can either suggest suppliers or work with the client's own choice. Event packages are available at Sezincote from £8,500 for exclusive use of the venue. The venue fee does not include marquee hire, lighting and catering. An administration charge of £250 will be made for over 120 guests to cover representation on the day by a staff member of Sezincote.